Breakfast. The “most important” meal of the day. Or so they say. But really, breakfast is enjoyed any time of day or night. It’s just yummy good food. Who’s to say when breakfast has to be eaten? Anyway, one of our family traditions is to make pancakes from “scrap” on Saturday mornings. We’ve done it since our oldest was about 18 months. That’s easy to do when we’re not working, but during the week when we’re busy and have to get out the door? Not possible. That’s why we like to have some simple grab and go goodies on hand for busy mornings. 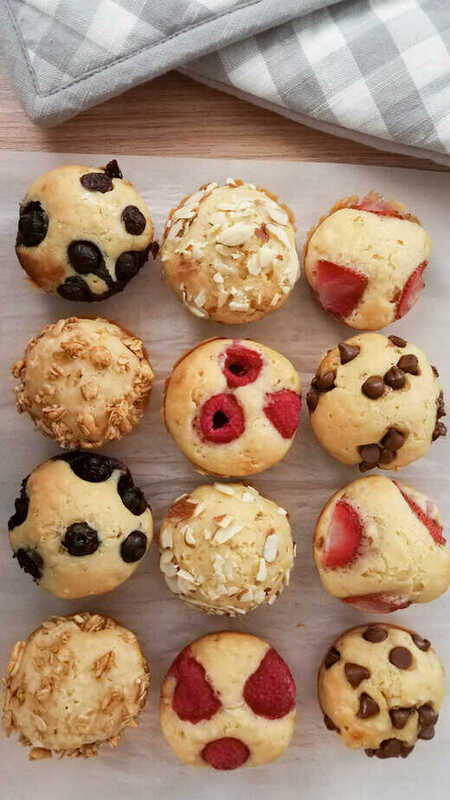 Pancakes are always a hit, so why not make them kind of into a muffin that’s portable? 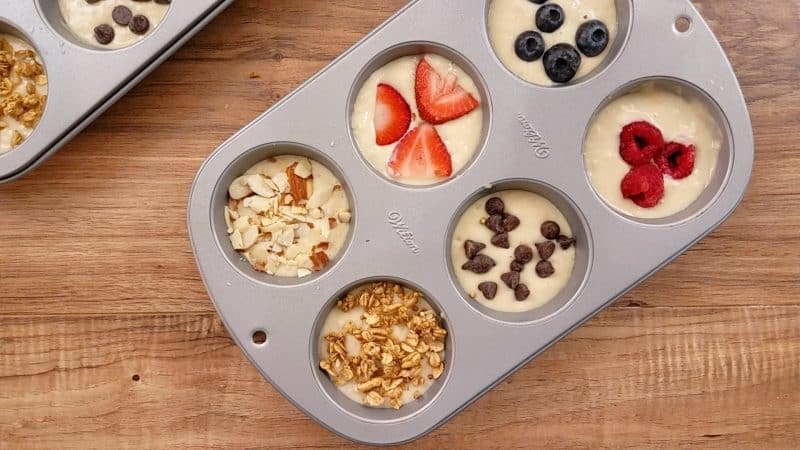 The best part of these pancake bites is that they can pop in the freezer…so they can be made when you have time and enjoyed anytime! Preheat the oven to 350 degrees and grease 12 muffin tins. 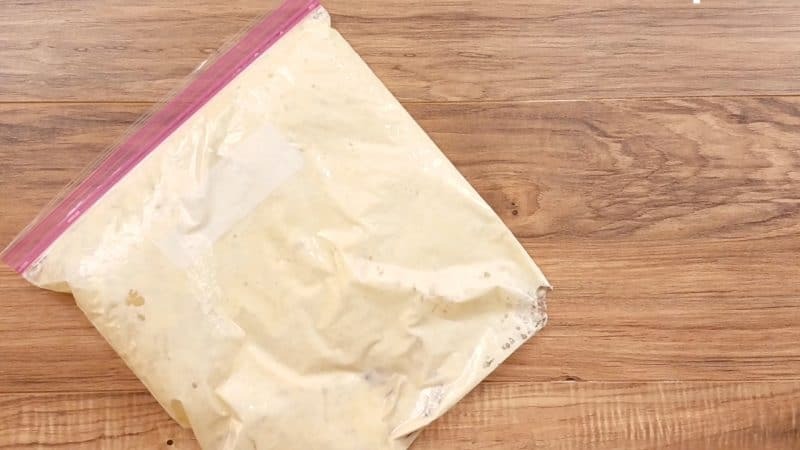 Hold a gallon zip freezer bag open using a pitcher or other container. Combine all the ingredients in the bag. Carefully remove the bag from the container holding it open, remove the excess air, and seal tightly. Shake the bag until all the ingredients are mixed well. 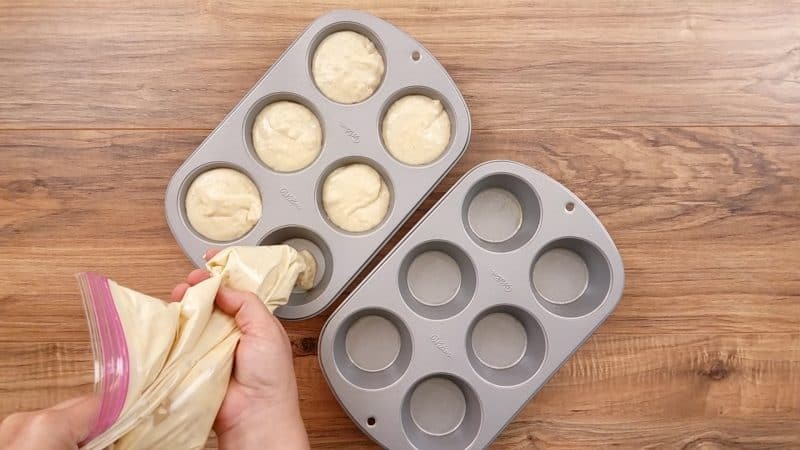 Cut off one corner of the bag then gentle squeeze the pancake batter into the greased muffin tins, filling 2/3 of the way full. Add toppings like berries, chocolate chips, nuts, or and granola. Be creative with your toppings. Bake the pancake muffins at 350 degrees for 13-15 minutes. Serve warm as is, top with syrup, or freeze to be reheated and enjoyed on the go throughout the week. 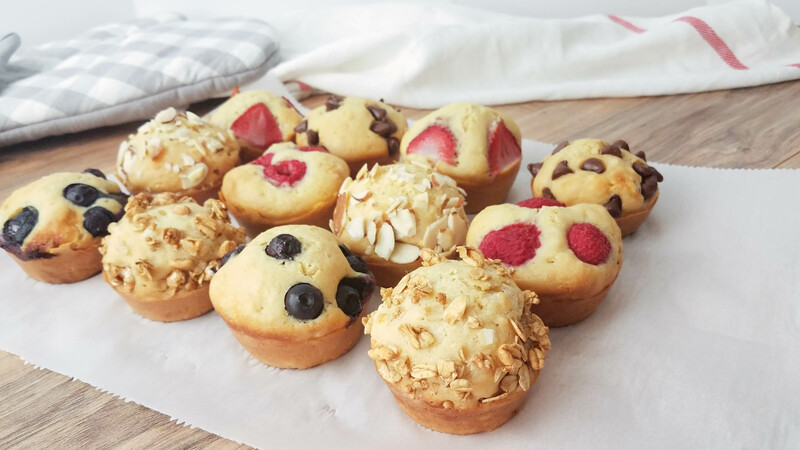 – To reheat the muffins, wrap in a paper towel and microwave for 30 seconds. 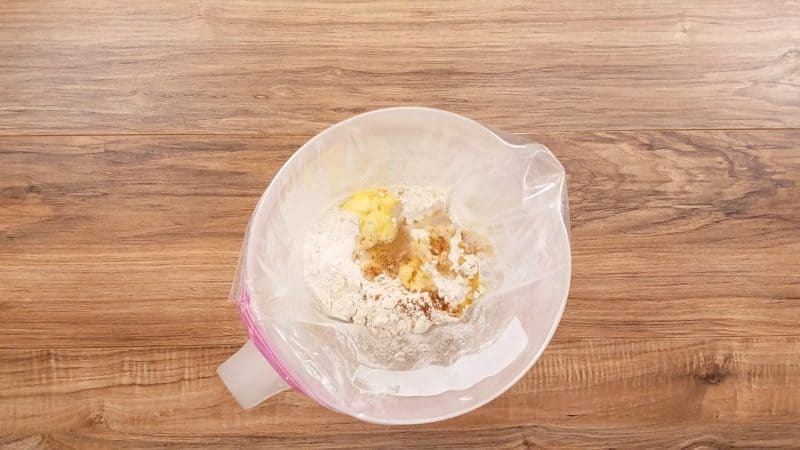 – You can also mix the pancake mix in a bowl and pour into the muffin pans. I love to use a plastic bag so that my kids can help without making a huge mess all over the counters. – You can also use premade pancake mix. Brilliant! Seriously, love this idea! Sometimes we don’t have much time for breakfast so I love that these can be made ahead for easy grab and go days! I would be all over the chocolate chip one! Thank you so much for linking up with us at Domestic Dayz! These pancakes bites look delicious! I love the idea that they’re freezer friendly. Perfect for weekday breakfasts and snacks. Oh my goodness, I love these so much! They look kind of like those little Griddler things that are in the freezer section, but probably a lot healthier (and a lot less expensive). My son loves those things, so I will definitely try making these instead! He would want the chocolate chips, I’d love to try the raspberry!